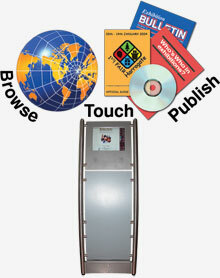 TouchFinder has been providing innovative high-tech solutions for over twenty-five years. Our services include Touch Screen Locators, Web Site Design, Hosting & Database Programming, Catalogue Production, Exhibition Registration and much more. Talk to us at the registration desk in hall A.